How to start investing in Binary Options? 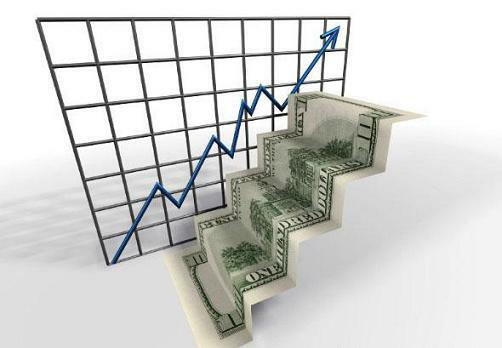 Binary Option trading can be an informal job since there’s technically no preparation required to start investing. But this does not imply whatsoever that it’s an easy task to master. To become a successful Binary Options trader copious amounts of study and practice are required; there’s a wide array of informational websites that expose several investing strategies, which may work or not. This is the issue with the Binary Options market: It’s high liquidity means fast price movements, which may either go up or down; it is the job of the trader to predict this behavior. To gain profit from Binary Options one must be able to “win” trades; this refers to having a higher number of successful trades than failed trades. It is quite obvious that when “betting” it is vital that winnings can cover losses, but just like on large gambling schemes, Binary Options trading may involve either losing or winning a great deal of money in just a couple hours. The trick is to get all the tools necessary to be able to outsmart other traders and to spot indicators that may hint how the price will behave throughout the day. Trends are a concept that every Binary Options trader must master. Trends set how most traders will invest; if an asset is receiving a lot of money, traders will feel inclined to set their money on that particular asset rather than others. Experienced traders can tell whether the trend is right or wrong by using tools such as Fundamental and Technical Analysis. These types of analyses try to observe economic and political indicators that appear when assets meet certain expectations; this is a purely theoretical concept which can be appreciated through the news and through economy-dedicated analysts who interpret this information. Besides the techniques mentioned, there are a whole lot of investing strategies which can be used to the trader’s advantages. But theory can only get traders up to certain point; experience is what sets professional traders apart from newcomers. Experience can be gained by the use of demo accounts. Demo accounts are provided by most brokers so their clients can try out the broker’s platform; they are also quite useful to get acquainted with the Binary Options market. Another concept to master is rational trading. When investing large amounts of money, emotions may take over the trader’s judgment and translate into badly-thought decisions that may result in large losses. When a trader applies a trading strategy, it is important to stick to the strategy, even if the trader feels that he or she should take a risky decision as a leap of faith. Although these sorts of decisions may result in large winnings, it is by far riskier than to follow the strategy set by the trader. Whenever a trader earns or losses a large amount of money, a feeling of either regret or confidence may appear; it is in presence of these feelings that irrational trading will occur. When investing in any type of business, rational and well-thought decisions will always be better than on-the-spot decisions.